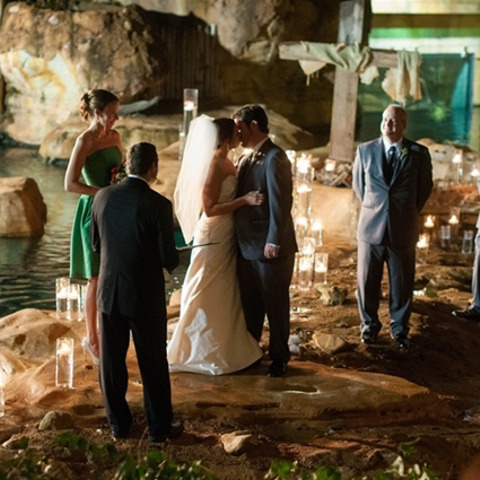 Memphis' favorite attraction could be the setting of your next big event! From family reunions to company picnics to corporate meetings and teambuildings, we'll make your daytime event something to be remembered. 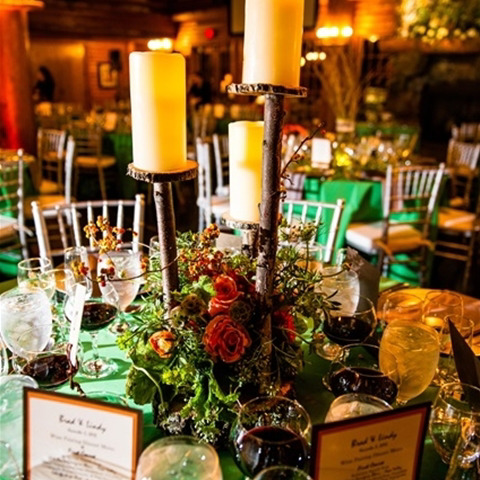 The Zoo can help you take care of all the details, too, from the catering and entertainment, to rental equipment. Take a look at our list of caterers or browse our special picnic menus. Let us make your event totally wild! 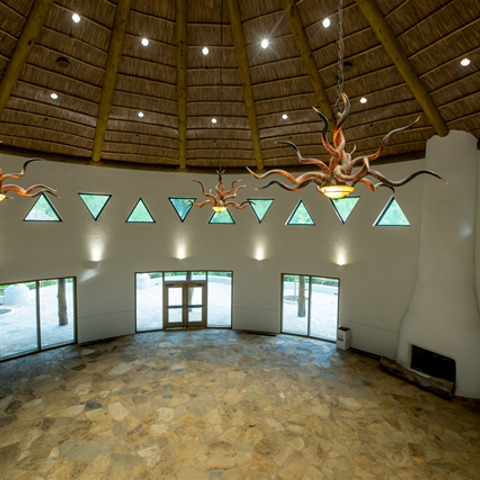 Take a look at the venues available and click to learn more about each space. A two-story lodge boasting stunning veranda views with two large fireplaces, this expansive facility overlooks a 25 foot waterfall. Perfect For: Weddings, receptions, rehearsal dinners, couples showers, cocktail receptions and dinners, corporate events, holiday parties, and school functions as well as fundraisers. Amenities: Climate controlled, indoor seating, two fireplaces, beautiful views, full catering kitchen, in-building restrooms, load-in dock, balconies, a 40 foot geyser and a dance floor. Call for more details. 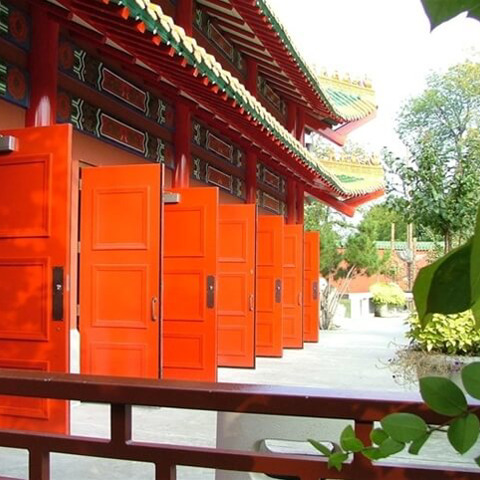 China Theater is available for daytime functions with accommodations for about 100 guests. Memphis is one of only four U.S. zoos to have pandas. Perfect For: Corporate meetings, luncheons, receptions or other events. 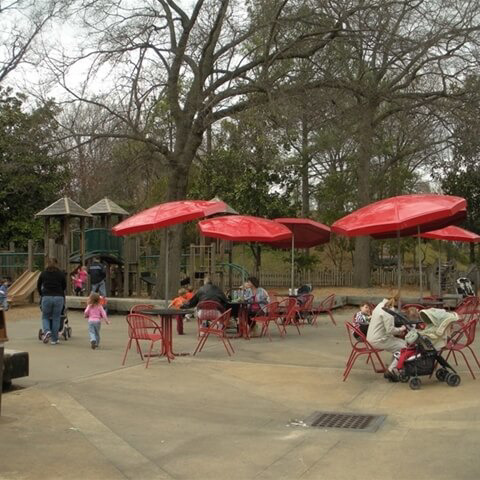 This outdoor area is the ideal spot to host an amazing picnic. Accommodates: Up to 500 people seated. Mingle on the banks of the Nile River in the majestic Courtyard. This massive retreat is nestled in the grand Egyptian entrance of the Zoo. The Courtyard may be rented in conjunction with the Cat House Cafe. Perfect For: Weddings, receptions, rehearsal dinners, couples showers, cocktail receptions and dinners, corporate events, holiday parties, school proms and fundraisers. Amenities: This incredible outdoor setting boasts lush gardens, beautiful fountains and amazing lighting. Call for details. Have a roaring good time in the Cat House Café! This historic climate controlled setting overlooks the Egyptian Courtyard of the Zoo, and is the only original remaining building of the Overton Park Zoo era. Amenities: Indoor climate controlled seating, restrooms inside building, immediate access from Zoo entry and a spacious patio surrounded by beautiful foliage and gardens; call for details. Be transported to the Great Northwest. 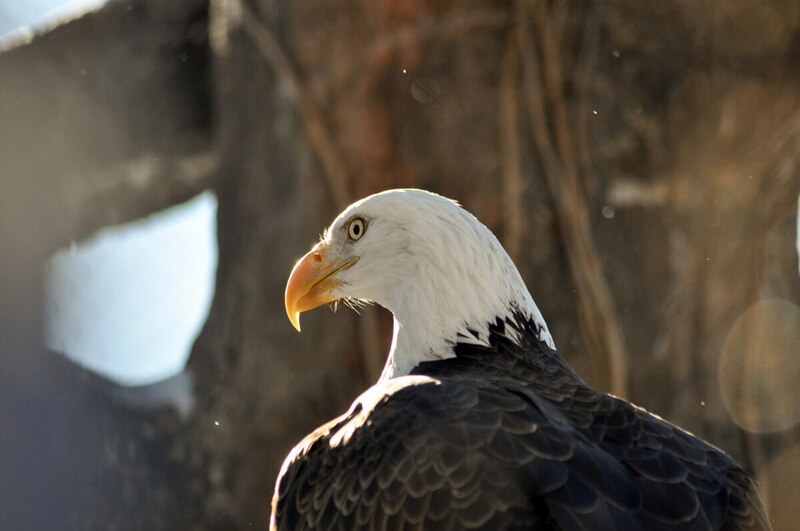 During the day, this is home to polar bears, bald eagles and sea lions. At night, it transforms into a unique setting that feels like a destination location with its amazing lit pools, traditional Longhouse and a meditation garden. Enhance your evening with a Polar Bear Feeding or an optional Sea Lion Show. Amenities: A climate controlled underwater viewing room, amphitheater ideal for entertaining, waterfall garden and two majestic courtyards. Call for details. China is available for after-hours functions with accommodations for up to 500 guests. Enjoy an Asian-inspired evening under the magnificent pagoda. 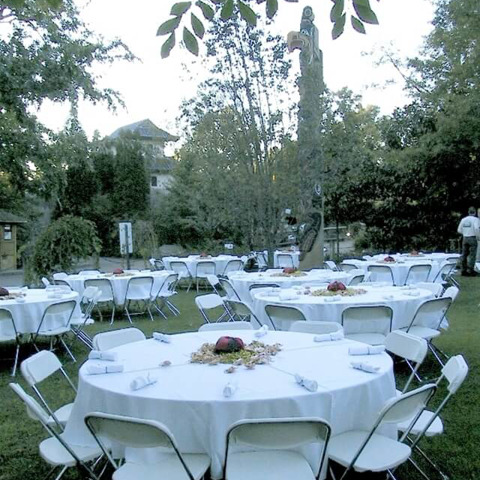 Perfect For: Weddings, receptions, rehearsal dinners, as well as corporate events. 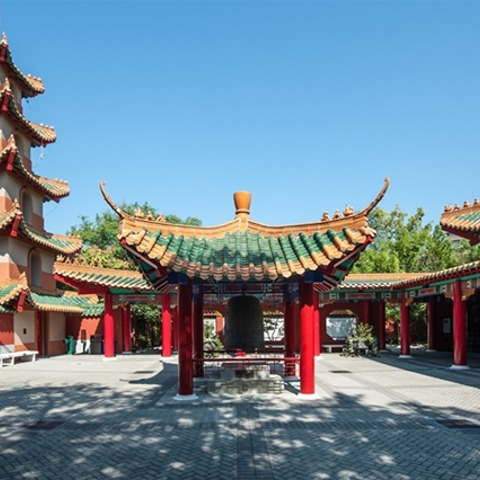 Amenities: includes a courtyard, climate controlled theater room that converts into a dining/dance/reception hall; teahouse and beautiful Chinese gardens. Restrooms located inside the facility. Amenities: Climate-controlled underwater viewing room, waterfalls and gardens, patio area, gas-flaming urns. Call for more details. Fill out the form below to request a space!